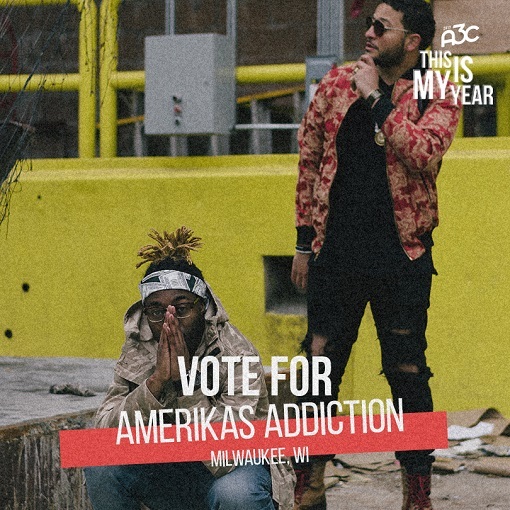 Amerikas Addiction has the opportunity to make hip-hop history in their city by becoming the first Independent Milwaukee artists to be Official Performing Artists at the world's largest hip-hop festival, The A3C Music Festival & Conference in Atlanta, GA from October 4-8th 2017! They are apart of the "This Is My Year" challenge for A3C in 2017. http://blog.a3cfestival.com/list/weekly-discovery-6-new-hip-hop-artists-in-your-feed-5/29/17 The VOTING link is here - http://woobox.com/twptnx/iynutw The contest runs from Monday, May 29th 10am EST to June 2nd 11pm EST!
" Just to let Everyone know, I have been trying for 3 LONG YEARS to perform in Atlanta at A3C - which is the worlds Biggest Hip-Hop Music Festival! I have talked to dozens of people with no love shown, I have sent hundreds of messages and made hundreds of phone calls and spent my last dollar to try and make it happen. BUT! FINALLY - WE, Amerikas Addiction have the opportunity to perform in the same festival as some of the biggest legends and our idols in Hip-Hop culture. Now, we just have to WIN"
Is Your Brand Ready For a Real Promo Run? We have partnered with The Promo Vatican to make this accessible to our subscribers. Over the last five years, The Promo Vatican has established itself as a top-tier promotional marketing company. Working with artists, labels, and brands around the globe on various types of campaigns. In short, when you need to touch the people, The Promo Vatican is who everyone calls. After much work, we have secured slots for amazing run scheduled from May - August. During these dates, they will be connecting the dots for artists with DJs (mixtape DJs, club DJs, etc), media, various levels of radio personnel, local promoters, and other key music industry professionals. This is an amazing opportunity to grow your brand. Why pay to go on tour, and for performances in other markets without a sound plan to actually connect the dots? To take advantage of this offer you need a marketing budget. You will be responsible for travel and lodging in each city, and also responsible for any costs related to your promotion run, including events, studio time, PD dinners, lunches, promotional materials, etc. Copyright © 2017 Kreative Kollective, All rights reserved. You are receiving this email because you have opted in to receive similar music marketing opportunities. Watch NowOne of the most anticipated videos of the year 2017 is SEXERCISE by SINA! This FLA based artist has traveled and pushed this record all over Florida and ATL and the feedback has been overwhelming. Today he follows up with the official video for Sexercise, shot by D2r filmz, Featuring Nakuu (starring TRUTH), giving you precise instructions on how to properly SEXERCISE. Watch now (and drink water afterward)! · Dj HeadBussa releases another banging mixtape; Supply & Demand 82 providing the soundtrack to his 10th Annual Birthday Week, held in Tampa, Fl. This HIGH-Powered mixtape will leave your speakers knocking. 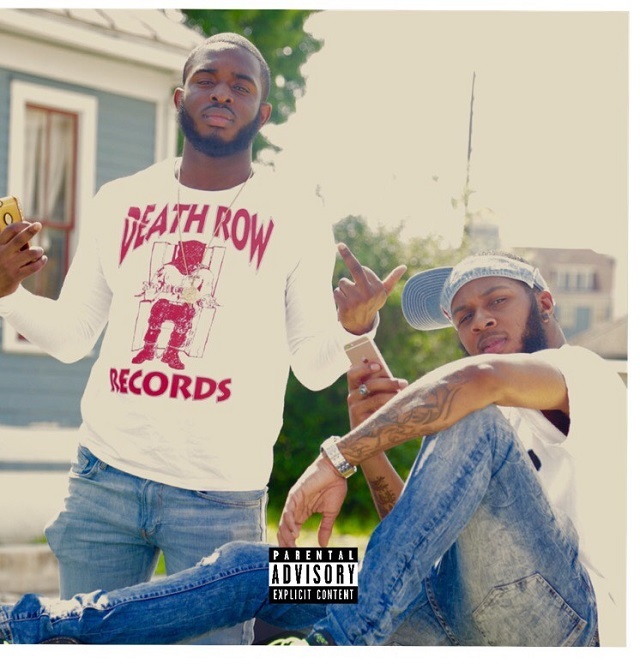 Download NowMidwest born in the tough streets of Kansas City, Yung Spitfire has taken the world by storm, linking up with Atlanta based studio Street Execs to record his Ep guaranties nothing but hit after hit, the first single Floatin ft. Stuey Rock has been going crazy and the video at Street Execs studios is a must see! Yung Spitfire is not a local or even National based artist he is know WORLDWIDE, from China to South America, to Paris & Italy Spitfire is touring and getting nonstop request to be seen and heard overseas! If you haven’t already link up before its to late and expand your fan base and pocket$ !!!! 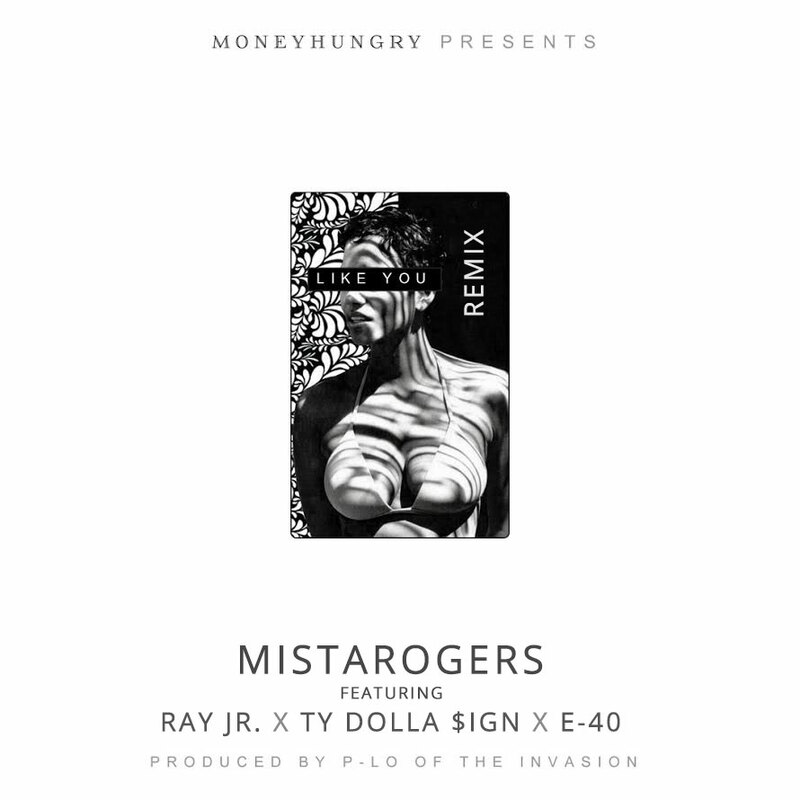 MistaRogers brings together the hip hop Mayor of Cleveland, Ray Jr. and the Ambassador of the Bay Area, E40 for this stellar remix as we prepare for the inevitable NBA finals match up between the Cleveland Cavaliers and Golden State Warriors. Produced by Bay Area's own P-Lo of the Invasion with an infectious hook provided by the superstar crooner Ty Dolla $ign. "New Comer Mic Miles releases his single Validation from his mix tape The Other Side. Validation, produced by Synethetic in NYC was a way for Mic to show the world his confidence. "I was tired of people not giving me a chance or listening to what I was saying" says Mic. This record tells all his doubters that he doesn't need anyone's validation and soon they will see it.